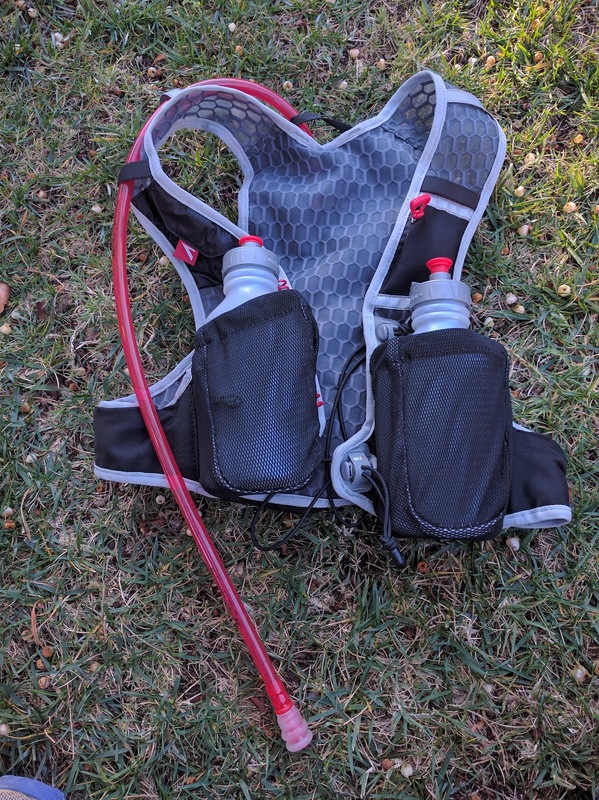 Ultra Aspire Alpha 3.0 vest, shown UltraFlask bottles (included) and UA hydration reservoir (not included). I must start by saying that I’m probably not the best person to review this pack. 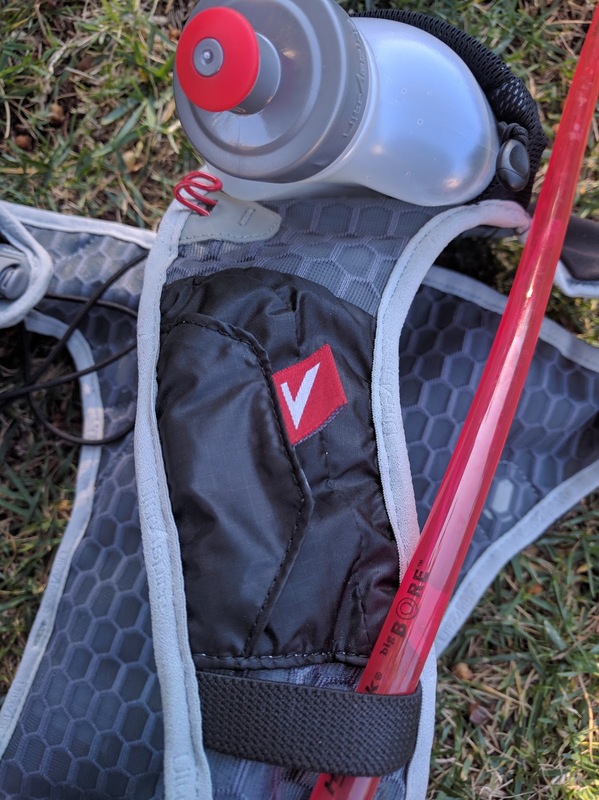 I like to wear a hydration pack when I race, but I don’t like bottles, and the Ultraspire Alpha 3.0 hydration vest is mostly targeted at runners who use water bottles. Two 550 ml “ultraflask” water bottles are supplied with the Alpha 3.0 vest. These are semi-rigid. Not collapsible like a soft-flask, but certainly more squishy than most rigid bottles, and have a crescent-shaped cross-section. The pack is generally well thought out, and represents an evolution of an already successful design. Following the industry trend, there are no rigid parts to the vest. Everything is soft, breathable, and lightweight. The two bottles supplied with the pack are crescent-shaped, which helps them sit snugly against your body. They are made of a nice soft plastic, and don’t feel hard and rigid. If you like bottles (I don’t), I suspect these are very good. UltrAspire's excellent "UltraFlask" bottles hold 550 ml. The bottles have a concave, crescent shape and sit nicely against the body. 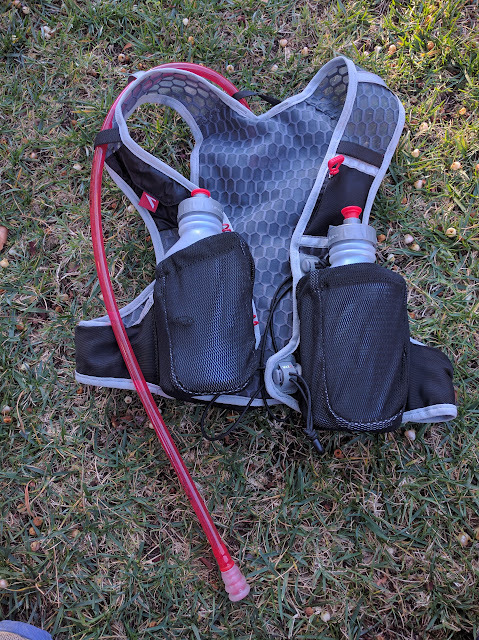 I tried a couple of runs with the two water bottles filled and occupying the front pockets. Initially, I found the weight and volume up front only slightly annoying. But when the bottles were half-empty, the sound and feeling of the water sloshing around drove me nuts. I tried again to see if the sensation became any less aggravating with time, but... not yet. For me, this is intolerable. I simply don’t understand why some runners like rigid water bottles. I can’t imagine running a hundred-miler and listening to the maddening liquid sloshing for twenty plus hours. I don’t like weight up front in the first place, and when I have to carry extra water, I far prefer a soft-flask that collapses as liquid is removed and doesn’t slosh about. You may disagree completely. The pack is extremely well constructed from mesh fabrics. It is highly breathable and comfortable to wear. My only small criticism is that the fabric is a little on the scratchy side. 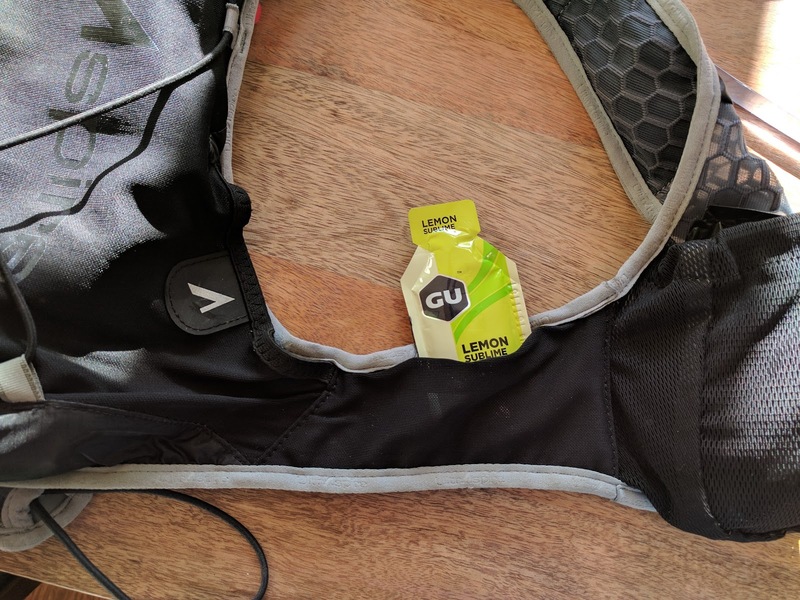 I tried wearing the pack shirtless on a ~10 mile run, and experienced a little chafing. I don’t think I would contemplate using it shirtless in a long race. In this regard, it is slightly inferior to Salomon packs, which I have worn shirtless, and consider to be best-of-class in terms of fabric comfort. I’m very fussy about chest straps on running packs. My principal criteria are that they are easy to operate. That means I should be able to close them on the run, in the dark, with gloved hands, without looking down. In my experience, Ultimate Direction and Camelbak get this right. 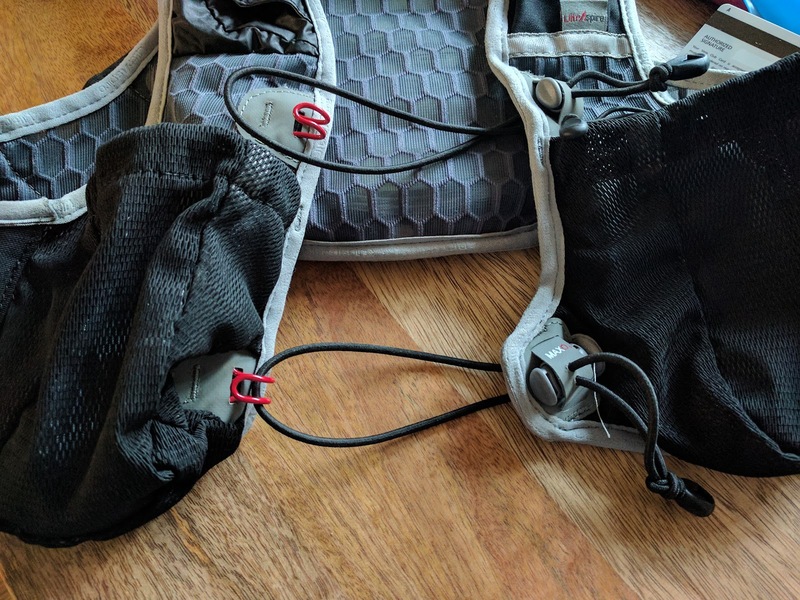 Salomon hydration packs get this horribly wrong: their chest straps are light and stretchy but shockingly fiddly and all but impossible to manipulate with gloves or numb fingers, and certainly not without looking. Ultra Aspire's "Max O2" chest straps could not be simpler: just an elastic cord and hooks. The idea is that the stretchy cord allows ribcage expansion for easy breathing. I’m on the fence regarding the “Max O2” straps used by Ultraspire. I love the simplicity: they are just elastic bungee loops and metal hooks. And the stretchiness is nice. But surprisingly, I’ve found them still a little tricky to operate with gloved hands. Another downside is that unless you keep the tension fairly tight, they have a tendency to unhook themselves. I also found that carrying a water bottle in the right hand front pocket made the hook almost inaccessible. This seems like a strange design oversight, as the bungee loop on the left side sits on an outcropping piece of fabric that keeps the tensioner accessible when that pocket holds a bottle. Why would this not be mirrored on the right-hand strap? Detail of chest straps. Elastic cord on left chest strap (right side of photo) sticks out to avoid interference with water bottle. Why not the same arrangement for the hook on the right strap (left side of photo)? The hook is obscured and hard to access with a bottle in the pocket. The stitching in the pocket also detours awkwardly around the hook; larger items can get hung up on this. The location of the chest straps is also fixed: you can’t relocate them up or down. Personally, this wasn’t an issue for me. They seemed to be in about the right location, and I didn’t want to move them. Between the larger front and main, rear compartments, built into the sides that connect the front and back of the pack are little pockets. 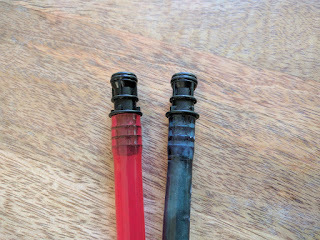 These are handy, but very small -- just about big enough to tuck in a gel with the top folded over; two gels if you really squeeze them in. Tiny storage pocket in fabric connecting the front and back. Just big enough to squeeze in a couple of gels. The main compartment in the back of the pack can be accessed both from the zippered top entry and also from a flap on each side. These flaps are big enough to stick a hand through, and are held closed with a magnets. While I love the idea of fast access, the possibility of something falling out does worry me a little. 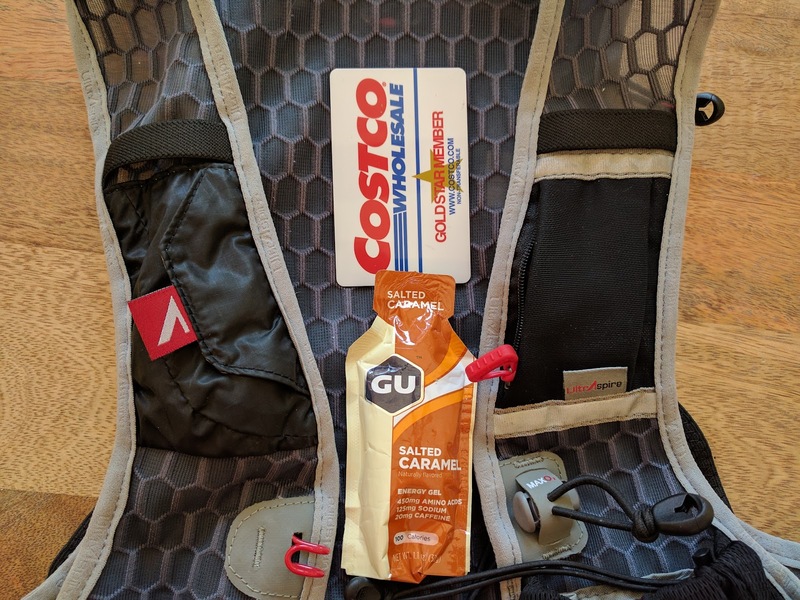 If I was running with money or credit cards or other smaller items, I’d be concerned they might tumble out, particularly when taking the pack on and off. That said, this is a somewhat theoretical concern: in testing, I never lost anything out of the pack, but then again, I never wanted to risk putting small items in there. However, if you don’t put a hydration bladder in the rear of the pack, that frees up the inner bladder pocket for worry-free storage. Side openings provide rapid access to main compartment. These are held closed by magnets (behind logo'ed reinforcement). Though undeniably convenient, this doesn't feel very secure. However, nothing fell out in testing. Inside the left front pocket is another sub-pocket. I’m unclear what this is supposed to be for, as it is made of a impermeable fabric (I tested by filling it up with water). It doesn’t have a top flap or zipper closure, so can’t be used as a usefully waterproof compartment. On the other hand, it does compromise the breathability of this part of the pack. It would make more sense to use mesh to keep things light and permeable, or to add a zipper or flap to close it. Moreover, I found that the loose (non-stretchy) fabric of the inner pocket mostly just got in the way when I was trying to use the outer pocket. Impermeable inner pocket inside left front pocket. I found this more annoying than useful. 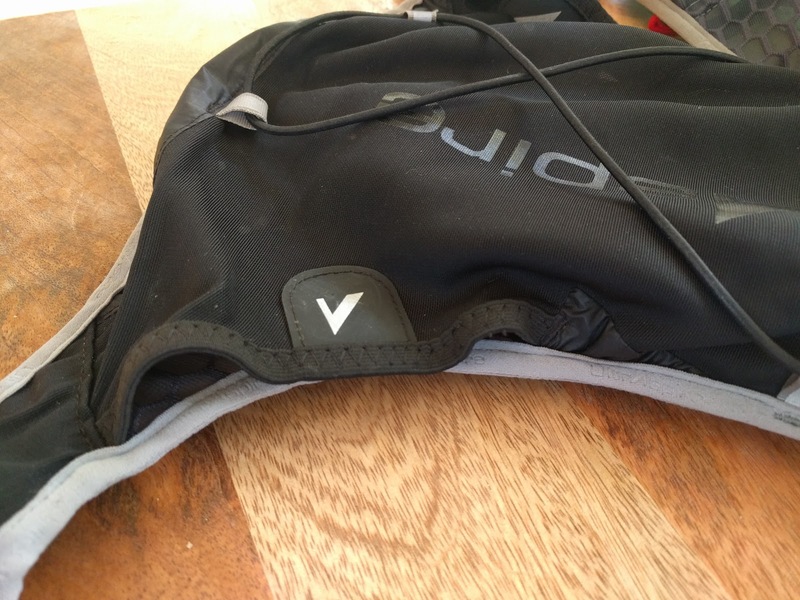 One feature that I did appreciate was the small water-resistant pocket in right chest strap, which closes with a magnetic flap. I found this handy for car keys - I’m always nervous that my electronic key fob will fail when it gets wet. I believe that Ultraspire intends this to be for electrolyte tablets -- I guess you’re supposed to put the pills in there directly, with no other packaging. I know I wouldn’t trust this. In a hundred miler, it would need to withstand ~20 hours of sweat, rain, dousing with water etc. And it certainly wouldn’t handle full submersion in a deep water crossing like Rucky Chucky at Western States. Still, as I said, I found it handy for other uses. 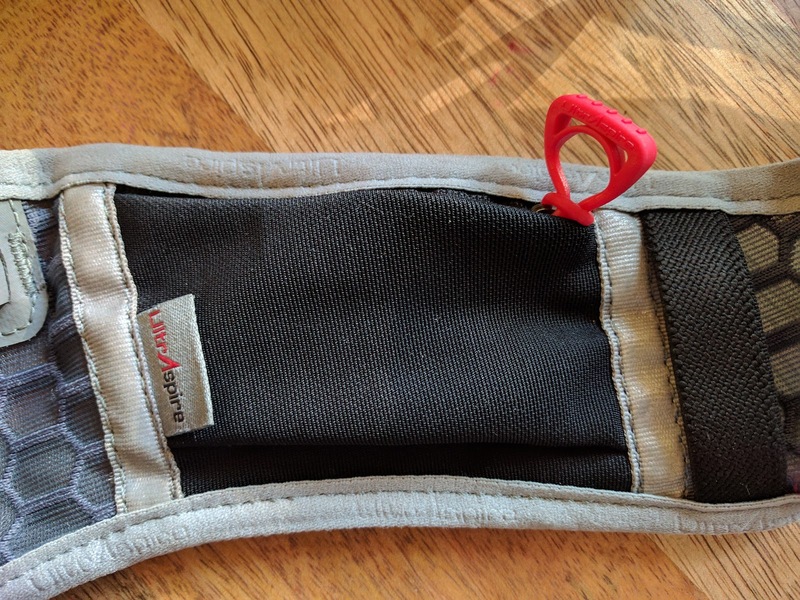 Small water-resistant pocket built into right strap. Magnetic closure makes for fast access. UA intend this to be used for electrolyte capsules, but I found it handy for other things. There is a similar small pocket in the left shoulder strap, this one made with mesh fabric and with a zipper closure. Excellent. No complaints here. I was impressed with the Ultra Aspire zipper pulls. These are highly visible, and large enough to be easily operated with gloves. Smell mesh pocket built into left strap. Zippered closure with UA's excellent zipper pull: highly visible and usable with gloved hands. It is worth noting that both of these pockets built into the front straps are too small to carry a phone or even a credit card. They are useful for car keys, pills, spare batteries etc. Each is just about big enough to fit a single gel packet, but even this is a tight squeeze. Chest pockets built into straps are limited in size: too small to fit a credit card, for example. On the back of the pack, there is a bungee cord threaded through loops on the outside. This can be used to secure extra items that don’t easily fit in the zippered compartment -- a large waterproof jacket, for example. Personally, I’d be nervous about securing anything mission-critical in this way. But perhaps if you routinely carry gear bungeed to the back of your pack, you wouldn’t think twice about it. The retainer at the end of the bungee can be separated to remove the cord if you are keen to shave a few grams (~10 g). If you choose to forgo the water bottles supplied with the pack, the front pockets are handy, but not ideal. They are too wide and shallow to carry the long thin soft-flask type bottles popularized by Salomon and HydraPak. They work just fine to carry gels, headlamps, candy bars and the usual ultrarunning knick-knacks, but because they are designed primarily to hold bottles, small items tend to jiggle about more than they do in most running vests. Given the ubiquity of cell phones in our modern lives, it is interesting that the Alpha pack does not have a particularly good solution for carrying a phone. The primary front pockets work fairly well, but are a little shallow to fit a large 6-inch phone comfortably. (The left pocket works a little better as the right pocket is slightly misshapen to accommodate the chest strap hook.) 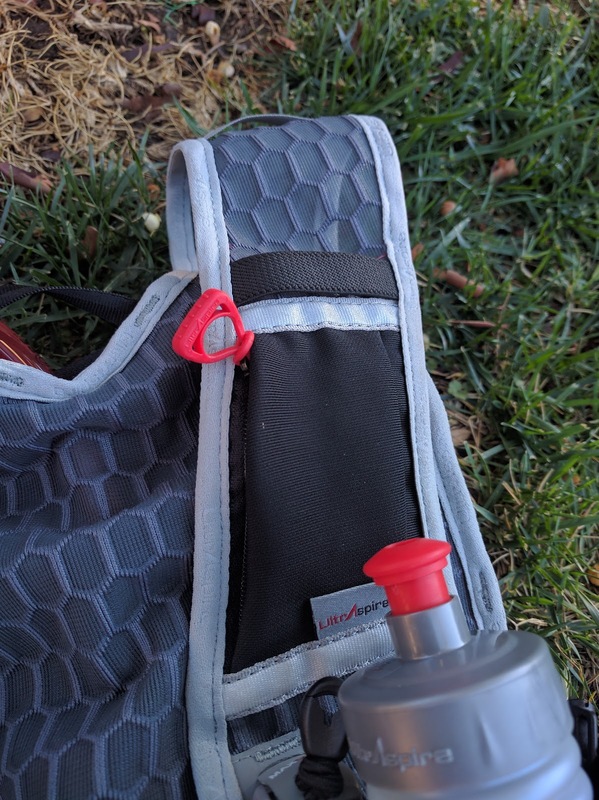 If you're carrying water bottles in the front pockets, then you'll need to slide your phone into the inner hydration reservoir sleeve inside the zippered rear compartment. This is secure at least, but not overly convenient for speedy access. 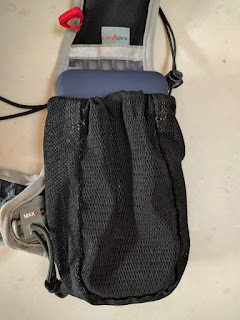 Since the vest is almost entirely mesh, none of these options will keep your phone dry: if you don't have a waterproof phone, you'll need to put your phone in a ziploc bag (or similar). Front (bottle) pockets are big enough to fit a large cell phone. Pictured is a Nexus 6P in protective case. Phones in the 5-inch size range should fit easily. 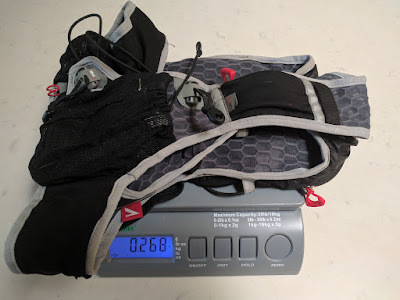 Without a hydration reservoir, I measured the UA Alpha pack at 268 g (9.4 oz). For comparison, my well-used Salmon Skin 5 pack weighed 228 g (8.0 oz). That’s not a big difference, and insignificant once the packs are filled with water and gear. (Figure another 5 lbs or so.) 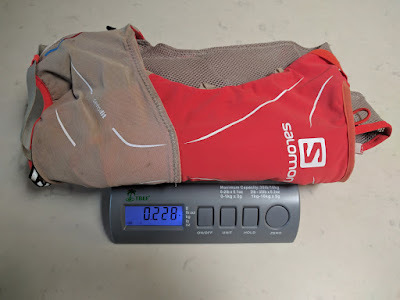 But it is a little disappointing, given that the Salomon is a larger pack with more storage, and is about 2.5 years older. Alpha 3.0 weighs 268 g (9.4 oz) without bottles or hydration reservoir. UA sent me the Alpha vest in size 'medium', which fit me perfectly. I'm 5'11" (181 cm), 155 lbs (70 kg), with a 40" (102 cm) chest. The vest worked comfortably whether empty or fully stuffed, and next-to-skin or on top of a few layers. I didn't test with a heavyweight clothing. The sizing guide on Ultra Aspire's product information for the Alpha 3.0 vest suggests: Large (Chest Size: 38″-46″), Medium (Chest Size: 32″-38″), Small (Chest Size: 26″-35″) Based on my experience with the medium vest, this guidance seems to err slightly on the large side. In order to test the pack as its designers intended, RTR requested that Ultraspire supply the pack for testing with a compatible hydration bladder. Ultra Aspire's (HydraPak manufactured) hydration reservoir is excellent. But the valve on the end of the hose is awful. First the positives: the two liter bladder is a good size, and manufactured by HydraPak. It has the standard HydraPak folding top that is held closed with a sliding clip. 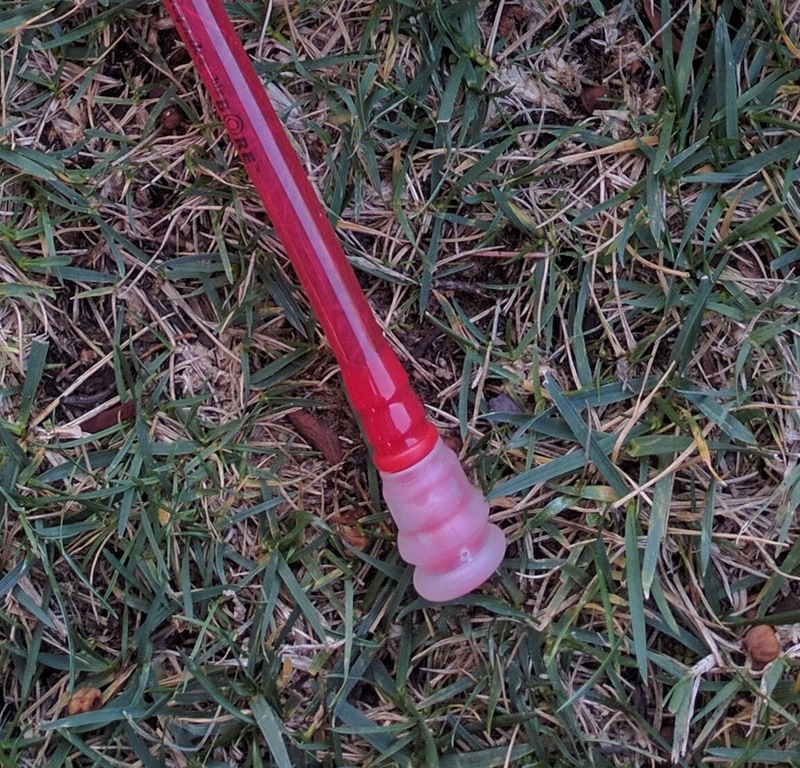 It has a quick release connection to the hose, which is handy for cleaning (and also for defrosting frozen hoses!). In use, it slipped perfectly into the bladder pocket, and is nicely retained by a small buckle that fits through a hole in the clip. When running with the reservoir full, it did shift around a little, particularly during fast descents. 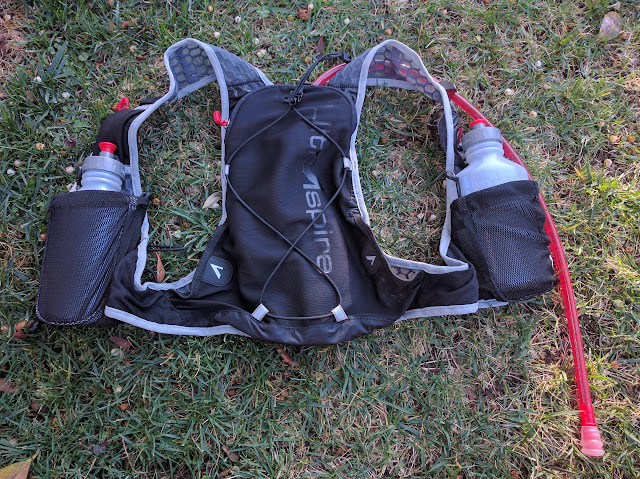 In this regard, it was similar to Salomon hydration packs, and slightly inferior to Camelbak packs, which I’ve found to hold a reservoir more securely than other brands. Hose routing is simple and excellent. Although I would have liked to have some way to retain the end, to stop it flopping around. Ultraspire sells a magnetic clip for precisely this purpose. However, they didn’t supply one to RTR for testing. The downside of the UA bladder is that the hose valve is appalling. It’s the type that you have to pull out to open. Then water flows freely until you push it closed. I’ve struggled to see any upside to this. Maybe it means that the valve is less likely to accidentally open in your luggage/drop bag. But that theory doesn’t hold water [pun intended] as the downside is that if the valve is transiently opened, it will never close; any leak is catastrophic as the bladder will empty entirely. At least with a conventional bite valve a leak might be transient. 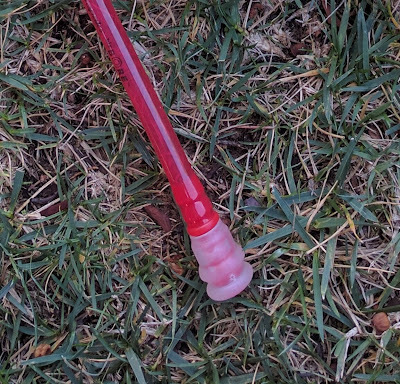 The design of the UA valve is such that you need a free hand to put the end of the hose in your mouth, then you grip it with your teeth, and tug on the hose to open it. The valve stays fully open until you push it closed. This action ought simply to be the reverse of the above, but I found I was unable to consistently close it while it was in my mouth. Closing the valve requires use of both hands: one holding the hose, and the other tapping the end of the valve. Often this is merely inconvenient, but in testing I’ve often failed to close the valve completely and ended up dribbling liquid. 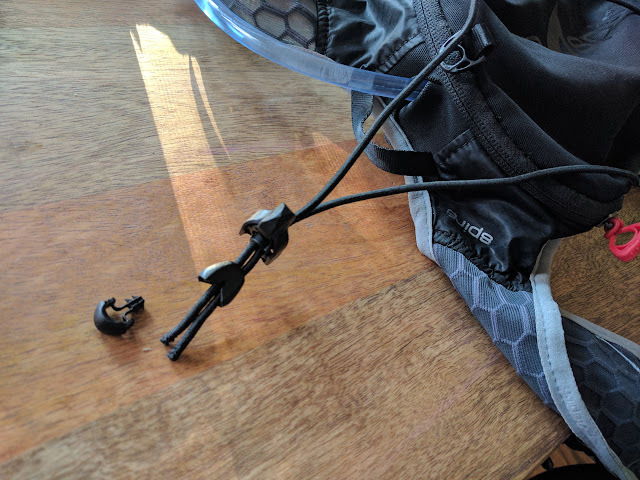 Once (during the TNF San Francisco 50-miler) my attempt to close the valve was a failure and I was treated to a geyser of carbohydrate drink all over my shorts. Bear in mind that this was a winter race in perfect (cool, dry) conditions. If the weather is hot, then I imagine that with sweaty, wet hands the hose is annoyingly slippery and this is a recurrent problem. Similarly when the weather is cold, I expect that manipulating the hose and valve with numb fingers, or gloved hands is also frustrating. What else? 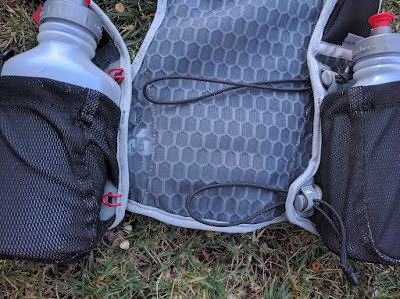 Using the hydration pack on the move while mountain-biking is nigh impossible. Another flaw in the design is that if the valve is not completely extended, it leaks air into the hose. 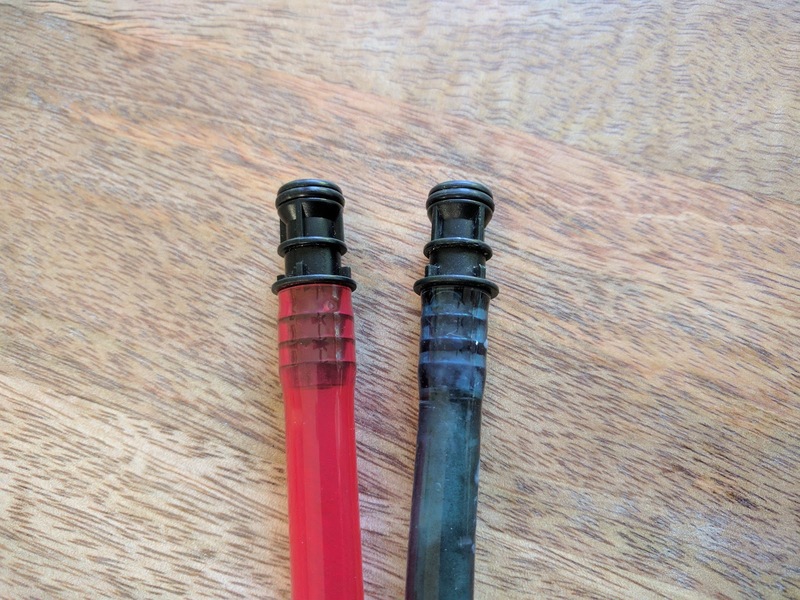 I found the valve on the Ultra Aspire hydration reservoir to be astonishingly, unforgivably bad. See text for laundry list of complaints. 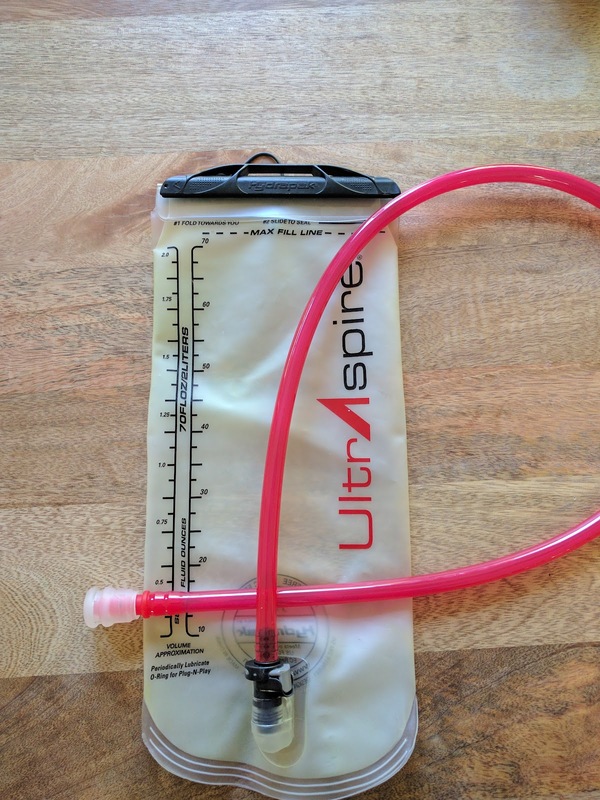 To add insult to injury, Ultraspire spec the drinking hose to be a larger diameter than most other brands, so I wasn’t able just to discard their valve and replace it with one from a different brand. 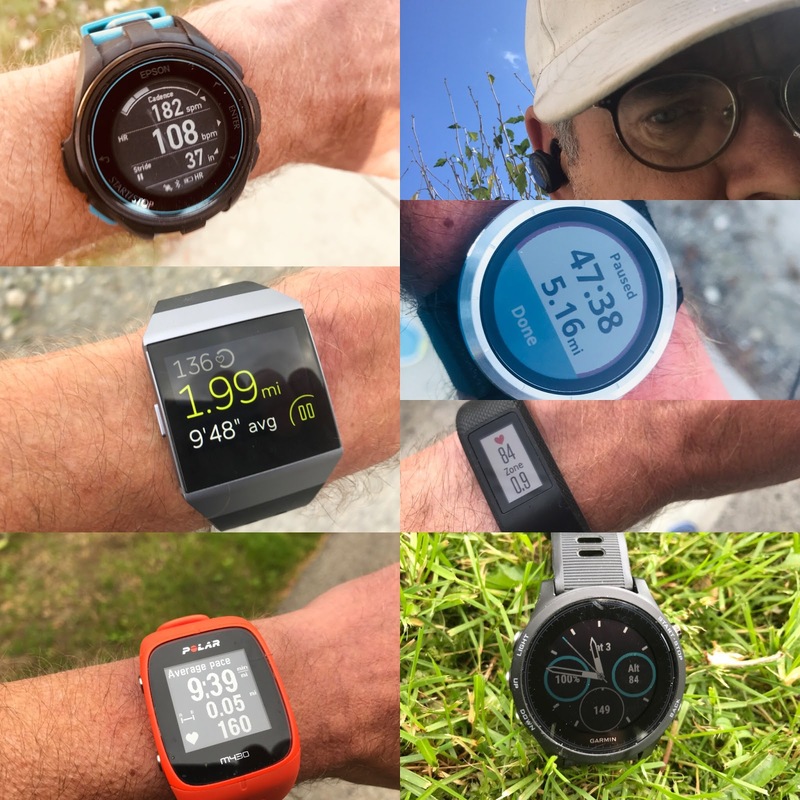 (I tried Salomon, Osprey, Ultimate Direction, and Camelbak.) 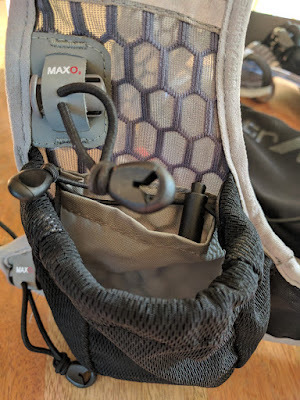 In the end, I replaced the entire hose with one from a Salomon HydraPak reservoir, but also found that the latest Camelbak bladders have compatible quick-connect fittings. UA hose left (red) and Salmon hose right (blue). Quick connect fittings are the same, but UA hose is larger diameter, precluding use of competitor's valves. 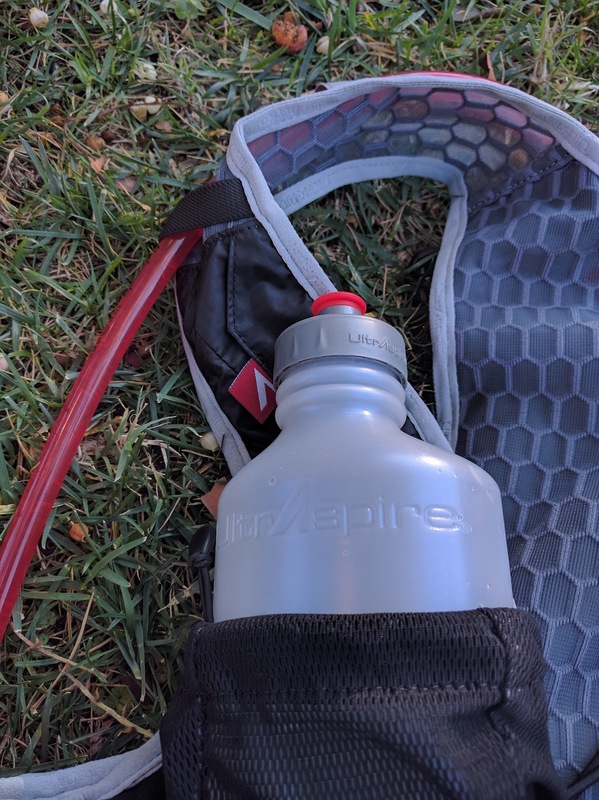 If you like to run with rigid bottles on the front of your pack, the UltrAspire Alpha 3.0 is an excellent choice. It is supplied with two curved bottles that sit snugly against the body and are the best of this type that I’ve used. 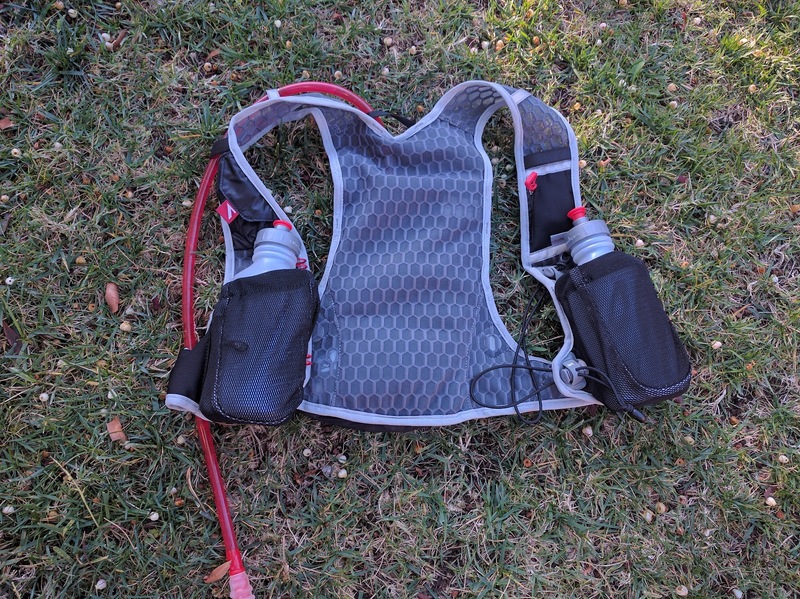 The hydration vest also is very capable when used with a hydration bladder. It will carry a two-liter reservoir (not included). With both the supplied 550 ml bottles and a full two-liter bladder, you can carry 3.1 liters of liquid. 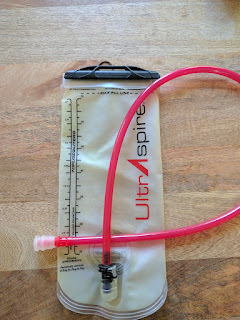 However, I would strongly recommend against the Ultraspire branded reservoir, at least until they change the valve on the hose to a conventional bite type. Either replace the entire hose assembly with one from a reservoir with compatible quick-release fittings, or buy a similar bladder elsewhere: e.g the similar two-liter reservoir direct from HydraPak. With a full reservoir in the pack there is room for an extra layer and some smaller accessories like gloves, hat, and headlamp. A bungee cord on the back of the pack that cab be used to fasten, for example, a waterproof jacket. Skipping the bladder creates a little more space, but this is not a big pack, definitely at the minimalist end of hydration vests. 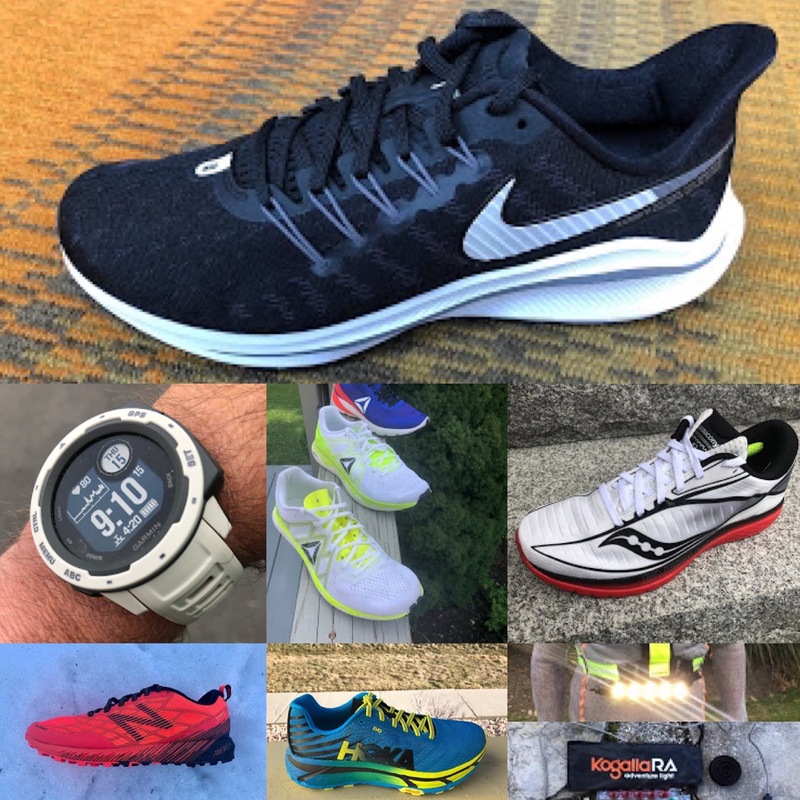 Overall the UltrAspire Alpha 3.0 is a refined and well-thought out design. It is light, comfortable to wear, and constructed from highly-breathable mesh. 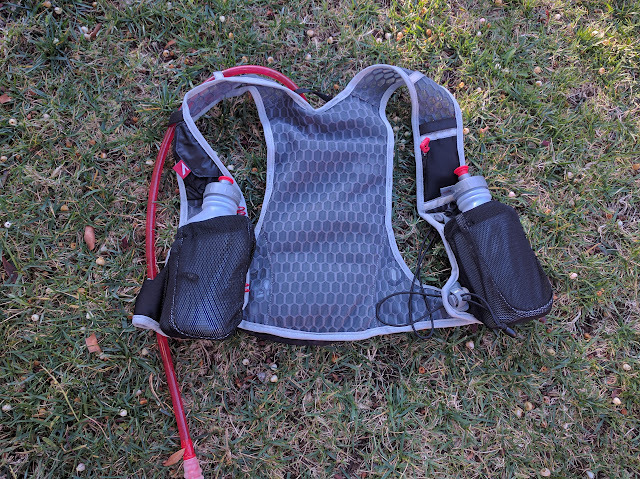 It functions well both as a race vest and for daily training use. 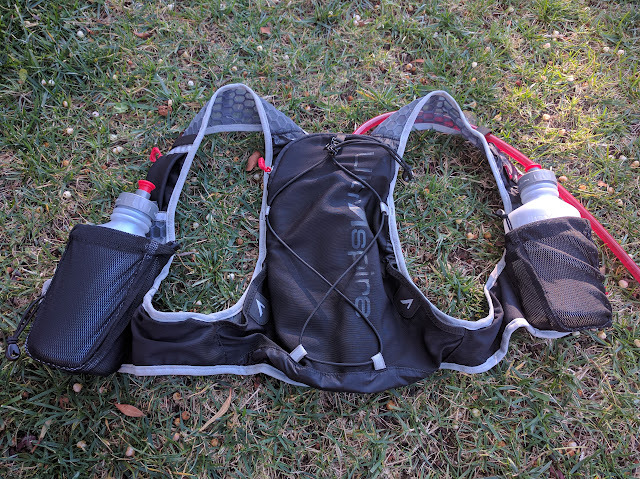 If you like to carry rigid bottles up front, and are looking for a minimal pack that will also hold a hydration bladder, this is a great choice. For use purely with a hydration bladder, or with soft-flasks, the front pockets are not ideal and there are better choices. 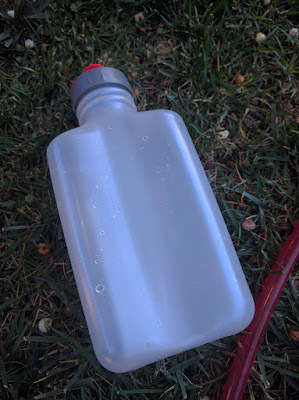 Score: 9/10 for runners who like rigid bottles and want the option of also carrying a hydration reservoir. A solid design that could do with a few minor improvements. Score: 7/10 for use primarily with hydration reservoir or with soft-flasks. Decent performance, but better options for this usage. Dominick Layfield lives in Southern California after several years in Park City UT. He is an avid trail runner who likes to race. He holds a PhD in biomedical engineering from MIT, and has worked as a researcher in orthopedic biomechanics. So he knows the difference between a ligament and tendon :-). In 2016, he raced, among others, the Angeles Crest 100 (2nd place), Scout Mountain 80K (1st place), and Georgia Death Race 68 miler (3rd place). His latest achievement was first place in the dead of winter 2017 108-mile Spine Challenger race in the UK, breaking the course record by an hour. The Alpha 3.0 was provided at no charge. The opinions herein are entirely the author's.